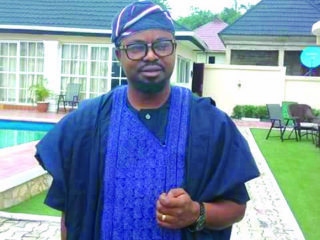 Mr. Babatunde A. Fashanu (SAN), a Lagos-based lawyer speaks, on issues of vote buying, electoral reform and independence of judiciary among other topical matters in this interview with YETUNDE AYOBAMI OJO. Do you think that the postponement of election for logistical or operational reason is justified under the Electoral Act? It is arguable. The postponement of the February 16, 2019 election date was illegal because logistical or operational reasons given then are not among the reasons allowed by the Electoral Act for the postponement of elections. The Act allows postponement for the likelihood of “a serious breach of the peace” or due to “natural disasters or other emergencies”. I firmly believe that logistical or operational reasons do not fall under these headings moreso, because INEC had, virtually, four years to get its logistics and operations for the elections done. 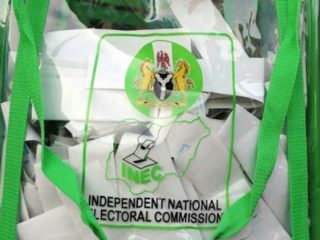 However, the elections were postponed and held, so, the argument can be made for continuity sake that the reasons given by INEC, though not specifically stipulated by the Electoral Act, could be accommodated under the heading of “there is reason to believe that a serious breach of the peace is likely to occur if the election is proceeded with”. That is, squeezing logistics and operational reasons given by INEC into that heading because it cannot come under “natural disasters or other emergencies”. This is because “other emergencies” will have to be emergencies relating to natural disasters under the rules of interpretation of statutes, in my opinion. This will be a bad precedent because elections may be postponed in the future for just any reason at all. What do you think of the postponement few hours to the election? Election can be postponed at anytime if the postponement is for the reasons allowed by the Electoral Act. Such postponement shouldn’t threaten our democracy but if it was for ulterior motives not falling under the Electoral Act, then it could. For instance, if the real reason turns out to be partisan, then democracy could be threatened because the election will lack credibility and most Nigerians may not accept the result of the election. How do you think the issue of vote buying could be dealt with? It is unfortunate that this is still an issue in the year of our Lord, 2019. However, what happens in our elections is just a reflection of the country at large where corruption, fraud and short-cut to goals are the order of the day. Here, you have politicians openly giving out money, food items, clothing, etc. with their photos, names and campaign slogans printed or embossed on some of the items. Where were the law enforcement agents? The way it is now, we just have to live with it until proper electoral reforms can be done, but, if you attempt to buy my vote, you should not be able to force me who to vote for (though this may not be true where there is not enough security at the polling station) so, the answer really lies with the electorate. What is your take on the Electoral Act that was not signed by the president? 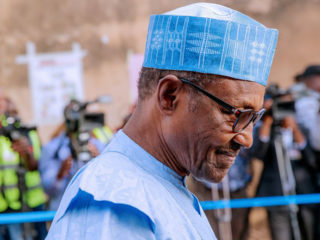 The so-called reform is heavily politicized having regard to the metamorphosis of many of the political actors especially in the National Assembly since 2015 from one party to the other. So, it is believed in some quarters that the amendment is intended to make it easy to unseat the President in the elections. Proper reforms will have to await another government, possibly. Recently some senior lawyers, G20 called for reform in the judiciary, are you in support and what reform would you suggest? I am totally in support. I could gather another 20 or so like-minded lawyers or Nigerians to propose our own agenda for reform of the judiciary or I could make individual proposals myself, because the more the merrier. But I believe lawyers, especially Senior Advocates of Nigeria, who play by the rules of their profession and the rule of law will feel mortified by the corruption in the judiciary and the role being played by some bad eggs amongst the lawyers. Do not get me wrong, personally, I believe it is only a small fraction of judges and lawyers that are involved in the corruption but some have perfected their practice that way. Something has to be done to root out this small minority of corrupt judges and lawyers who are giving a bad name to the judiciary and the bar. Our people say one misbehaving person makes you to abuse 200 (innocent) persons. But what has to be done goes beyond the present procedure of discipline through the National Judicial Council (NJC) or the disciplinary procedure for lawyers. It has to be revolutionary and mines in the field of enforcement of ethics for judicial officers and lawyers must be swept off. I remember the revered late Justice Kayode Eso headed a panel decades ago which sat all over the country to probe judges and recommended sweeping disciplinary actions, etc., something like that must be done again. What is your take on the nation’s future going by the recurring calls for restructuring? Restructuring to me means allowing for true federalism whereby we will go back to the days of regionalism and give the regions more independence to control affairs of their regions much more independently, while areas like national security, foreign affairs and others will be left with the Federal Government. That way, each region will grow at its own pace and emphasize its own priorities. Much has to be done to de-emphasize population as indices for allocating resources because this has been the bane of our getting proper census for good planning with population being inflated for resource allocation reasons. First is to decide on how many regions to have. Six to eight regions should be enough each to be an agglomeration of the current states with geographical contiguity and similarities in cultural, social and economic leanings. A situation where everything is centralized on Abuja does not make for good governance and development of the country. Do you subscribe to the view that the Nigerian judiciary has been politicized? Do you think the independence of the judiciary is achievable? The judiciary needs to have a proper overhaul in such a way that it will be more independent and at the same time self-overhauling and self-correcting to avoid the kind of situation we find ourselves today. The head of the judiciary must have proper immunity against the kind of prosecution as is ongoing because he is heading an independent arm of government recognized by the Constitution. I said self-overhauling and self-correcting because we must have in place a system whereby someone who is not fit to head a State or Federal judiciary will not get there in the first place not to talk of carrying baggage there to be prosecuted for. A judge on the bench is not representing any party or anyone, not even the government. He has taken an oath to do justice without fear or favour, so, to that extent, one cannot say the judiciary is politicized. The courts and their dramatis personae have rules by which they are governed before each court comes to a decision on any case. The fact that certain cases go against the government or are in favour of the government does not mean the courts are in support of any political party or interest. 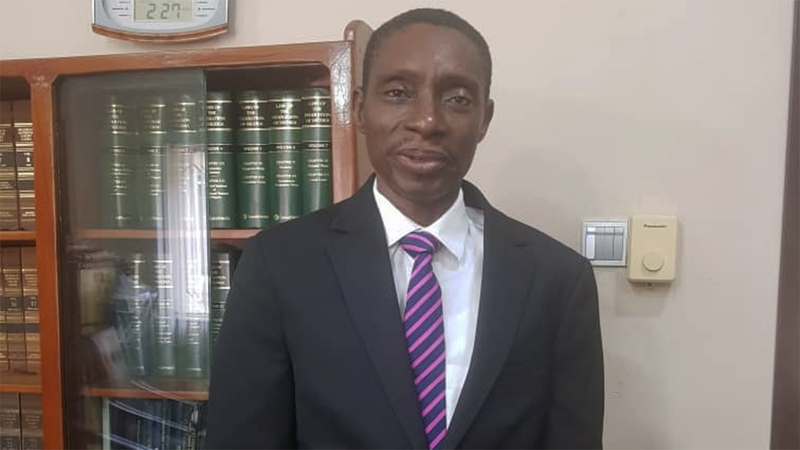 However, the ongoing prosecution of the CJN, to me, is a sure way to politicize the judiciary because of the way and manner it is being done as it appears the (Federal) government of the day wants the CJN, who is the head of an independent arm of government, out, willy nilly, even using an ex-parte motion to obtain his suspension from office by an order by a tribunal that is not even a regular court. The judiciary should be left alone to do its work, but then, there must be serious checks and balances to keep the ship of the judiciary on course and not allow a few bad eggs to give it a bad name for all. We need to return to the golden age of the judiciary in the 1970s and 1980s when judgments of the Supreme Court rendered by great Justices like Justices Taslim Elias, G.B.A. Coker, Chukwunweike Idigbe, Ayo Irikefe, Kayode Eso, Mohammed Bello, Chukwudifu Oputa, Andrews Obaseki, Augustine Nnamani and A.G. Karibi-Whyte, to mention just a few, were taken as sacrosanct and no one dared infer any political or corrupt motive behind such judgments. We have great justices and judges now too but the activities of a few bad eggs are giving the judiciary a bad name. Serious sanitization is needed. Furthermore, judgments of the Supreme Court, as the last court of the land, must be strong in the sense of being predictable by lawyers having regard to the principle of judicial precedents. Though, the Supreme Court can depart from its previous decisions, the strict criteria laid down over the decades should be strictly adhered to. A situation where judgments of the Supreme Court given by different panels are conflicting on the same subject matter or principles without an express departure from the previous judgment leads to confusion and unnecessary and most times, untrue allegations by the public who do not know how the court really operates and the challenges it faces. There are videos on social media showing that elections were allegedly disrupted and people disenfranchised. Could these kinds of videos be tendered at the Election Tribunal? There are provisions in the law of evidence on how things obtained on social media can be successfully tendered and admitted in court including election tribunals. However, the question is what weight the tribunal will give to such videos or photographs? It is necessary for the makers or eyewitness(es) to such events be called to give testimony in order to give credibility to the videos otherwise such cannot really be relied on in this age of photo-shopping and animation of anything even on videos. What suggestion do you have for INEC to avoid those kinds of irregularities witnessed during the national polls? From reports so far, the elections held on February 23rd, 2019 has been generally peaceful but there were reported pockets of violence and disruption of elections in some areas of Rivers, Lagos and Kogi States among others including, regrettably, loss of lives. This is mainly a security issue and the government of the day must bear responsibility for this lapse. Volatile and flashpoint areas must have been known by the security agencies from general knowledge and good intelligence gathering. So, extra security ought to be provided in those areas. A situation where voters exercising their civic right to vote are harassed or their votes not made to count by being hijacked by thugs or burnt is a disgrace to the country. Also bad is the failure in logistics and operations in the electoral process. In many polling units including the one where I voted in Lagos, voting could not start at the fixed time of .8:00a.m because materials or personnel did not arrive in time. In my polling unit, I could not vote until 3.00p.m. – onehour beyond the time scheduled for the polls to close – because voting could not start on time for whatever reasons. In some areas, it was worse, with voting having to be extended for hours and some even going into the next day. INEC had four years to prepare for these elections, and the fact that they were postponed for a week and we still had these problems shows that we have to sit down and overhaul the whole electoral system, from preparations to logistics to the voting process to security to post-election matters like challenging an election and prosecution of offenders or anyone who interfered with the process. This is a huge area, which I cannot fairly deal with here. However, to avoid these problems going forward, INEC needs to do a quick audit of the Presidential and National Assembly elections and take quick steps to plug holes observed in those elections especially as regards logistics and operations to get personnel and materials to polling units on time. With respect to security, INEC and the security agencies need to get their acts together. It seems thugs had a field day disrupting the elections in some areas because of the absence of or inadequate security in some polling units. This has to be addressed. In comparison with the 2015 elections, how would you rate democracy in the country? It is unfortunate that we have not been able to get our act together in perfecting our electoral process notwithstanding that this republic started in 1999 with 20 years experience now. Some progress has been made in certain areas such as PVCs and electronic identification but all that was in place in the 2015 elections. We should be at the stage of voting electronically by now but the non-conclusion of the proposed amendments to the Electoral Act could not let that happen because one of the amendments was to allow for electronic gadgets and other technologies in our elections. To the extent that most things are still being done manually, there is no much difference with the 2015 elections. Violence is also a recurring decimal. Why do we have to have the whole country shut down because of elections? All these have not advanced our democracy because it means we are still in one place since 2015. However, what will be a difference is how the loser of the Presidential election accepts the results. Former President Goodluck Jonathan has gone down in history as the first Nigerian elected President to accept defeat at the polls and hand over peacefully to the winner of the election. We hope the loser of this Presidential election will toe that line. Does the Electoral Act support the use of military men during elections? The Electoral Act does not say use the military or do not use the military for elections as regards security. But the Electoral Act deals with preparations and conduct of elections, which are civil acts. The military is by law meant to basically protect the country and its citizens against foreign attacks or aggression except in emergencies where they can be called to action inside the country to the same effect, e.g. when natural disasters occur, etc. In my view, ordinarily, security agencies are not meant to supervise elections, which is the job of INEC but to provide security to ensure that people vote freely without violence or threats and that the votes are protected throughout collation, counting and announcement of results by INEC. The security agency empowered by law to provide security for such activities is the Nigerian Police Force. However, due to the inadequacies of the Nigerian Police, one cannot totally rule out support by the military to keep out troublemakers in areas where it is expected that the police may not be up to the task, like areas being disturbed by the Boko Haram insurgents and militants in some areas in the Niger Delta as was seen in the elections of February 23. But even where the military is called in, they are not to supervise elections but maintain a safe perimeter of safety for voters and officials conducting elections.